Though I have a bone to pick with these sTV people since we ALL know Nutty Madam’s reaction to that was as least 20 minutes long complete with her rewatching it like 40 times with various levels of volume and pitch to her voice and breathless exclamations. I don’t know what it is about watching other people’s dreams come true but it makes me REALLY happy and a little weepy… kinda like reading the Tweets and seeing pictures of people meeting Stephenie Meyer when she went to visit Tent City before the Breaking Dawn Premiere. It’s like being a fly on the wall someone’s best day ever. Dream do come true yall!!! What moment in your fandom did you feel nutballs crazy? Did this make you happy for her or insanely jealous? 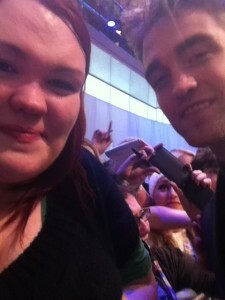 I’ve been saying all week how much I loooooove European Rob (minus the goatee). You look great traipsing up and down red carpets in Paris (oh la la I miss it) and Brussels all relaxed like with a one Miss Ashley Greene. Now either the unpasteurized cheese in France has given you a new lease on life or the fizzy water and architecture are doing wonders for you or somethings up. You just have a certain ohhhh I don’t know je ne sais quoi about you this week. So wait, am I brother 1 and you're sister 2? Is this like Sisterwives? YOWZZZAA! Now, you know as much as I do that we were all doing Twilight math in our heads as we read that one…Cullen brother in Europe… Kellan is off in Indonesia somewhere, Jacky is in LA doing whatever he does… sister #1 disappeared off the scene… sister #2 in Europe… brother involved with another actress from the movie… Brother and Sister #2 both in Europe… WELL WELL… HMMMMM Well yes, I think we have a winner here. 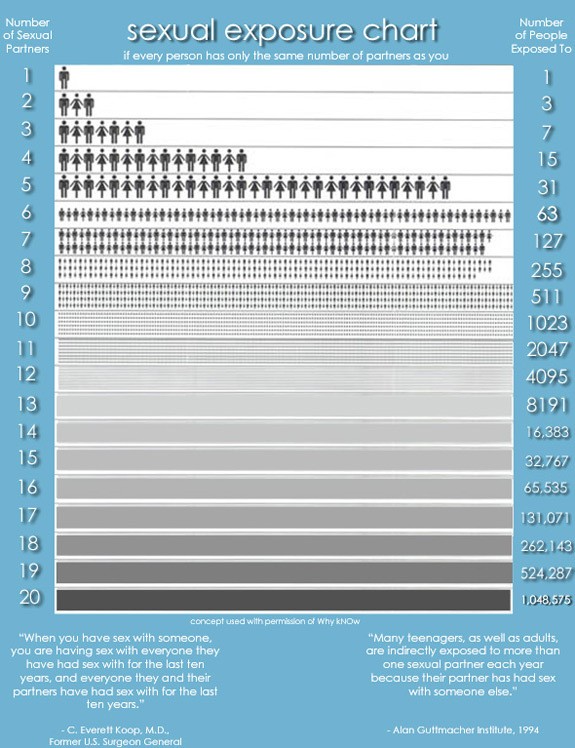 Oh look it's the Sexual Exposure Chart! The WHHAA?? Yes, the ol Sexual Exposure Chart! If we take into account just the numbers from the blind item we’re already getting into inkblot/blurrly little people catagory on this thing. Ok, all I’m saying is you could have (allegedly) slept with a Jonas Brother and Anna Lynne McCord and Rachel Even Wood. I’M JUST SAYING. Keep it safe, keep it simple and good on you. And thus I’d like to bestow upon you my most favorite (and maybe) aptly name celeb couple: RASHLEY! PS is it awkward for Ashley to stand next to that huge poster of Edward and Bella? Weird. They're two dfferent people?! NO! Today someone asked me if I would cry if I ever met “Edward Cullen.” Of course being a pro at answering the ” meeting Robert Pattinson” question, this one made me laugh. I answered, “Yea, I’ probably cry if I ever met Edward Cullen because we’d be in an alternate reality because Edward Cullen is a fictional character.” This earned a bunch of laughs. But really, REAL people still think YOU are Edward Cullen. For reals? It’s like asking if I wanted to meet Maverick from Top Gun and meaning Tom Cruise or Frodo and meaning Elijah Wood or Harry Potter and meaning… Harry Potter, I mean Daniel Radcliffe cause he pretty much IS Harry Potter. It makes me think of the few times I’ve seen you in person at various events and cringing when people yelled “EDWARD!” or “Where’s Jacob?” I mean they’ve got to be joking, right? You guys AREN’T these characters… are you?? Am I the only one with a (sorta) firm grip on reality? Is that you laughing because I’m writing this on a blog called Letters to Rob and who could have a firm grasp on reality if they’re doing THIS? Well, stop laughing. I have a firm grasp! That’s what she said. Ok, srsly, stop laughing. It’s kinda like when friends have come to various Twilight premieres and as I tried to get a great view, they kinda hung around in the back and when I asked why they’re weren’t clamouring to get to the front they said “I just wanna see that he’s real… to make sure I haven’t made up the last year thinking about him.” They didn’t really need to be in the front yelling Edward or body checking security to get to you, they just wanted to see that you were a real person… so when people ask me if I would like to meet Edward Cullen I gotta say yea, because that would mean existing in some alternate universe of Stephenie Meyer’s brain and seeing the place I read about years ago (now) and seeing that Edward Cullen is indeed real. But would I cry if I ever met you, Rob? NO. Sorry, pal but I know you’re real and I’m fine with that. Has anyone ever asked you something like this? I mean do people really think I’m a nut for EDWARD? I mean sorta but not like REALLY! Also, I think this means I’m officially way to far out of the Twilight closet. OMG You went out and did something quasi interesting and got caught doing it so now I have something to sorta write about! Congrats. To me. What is it you did exactly? Well, (drum roll please) you went out and bought some furniture! Ok, more so home accessories but we’ll take what we can get and we will LIKE it. So you went to this place called T.I.N.I. aka This Is Not Ikea. LOLZ AND Furniture, go you! So anyway this places is essentially a store made up of stuff you could come get out of my garage for free. This lamp is 85 bucks. I’m pretty sure I would pay YOU in free beer to come take this out of my garage or you could find it out back in the dumpster that’s clogging up the alley way next to the homeless guy who will make you an amazing deal on “vintage” clothing. Aka his shirt and pants. Cause you’re into that look. Ok, so I totally dogged on everything you bought because where’s the fun in being nice and saying good job on being an adult? That’s right, there is none. I would actually like to see how you’re putting this in your new home and how this is all gonna work out, cause it could look pretty cool if done right. So yea, invite me over. I’ll keep my silent judgments to myself, I swear. And I’ll bring you a lamp/coffee table/coat rack/broken desk chair from my garage as a house warming gift. PS T.I.N.I., I’m pretty sure this IS Ikea… just sayin. And I actually want to visit your store. So what do we all REALLY think of Rob’s purchases? What’s your fave furniture store and/or look? Are we all super sad that Rob didn’t publicly buy plaid curtains and a plaid couch like the “Palatial Pad” has??? Sad Panda!